Information and communication technology (ICT) can provide rice farmers access to accurate, relevant, and timely information that can help improve their productivity, according to an IRRI scientist. During the ICT Innovation and Partnerships for Sustainable Agricultural Development session at the 2015 Digital Strategies for Development Summit, Arnel Rala, senior associate scientist at Social Sciences Division, discussed how remote-sensing technology works and how information gathered through it could be utilized by local governments to forecast yields. at the Digital Strategies for Development Summit. The plenary discussion tackled some of the big picture issues in promoting sustainable agricultural development through innovative ICTs. Rala gave a presentation on Philippine Rice Information System (PRiSM) and Remote Sensing-Based Information and Insurance for Crops in Emerging Economies (RIICE). PRiSM is a rice production monitoring system that uses state-of-the-art approaches to generate rice crop information in the Philippines. 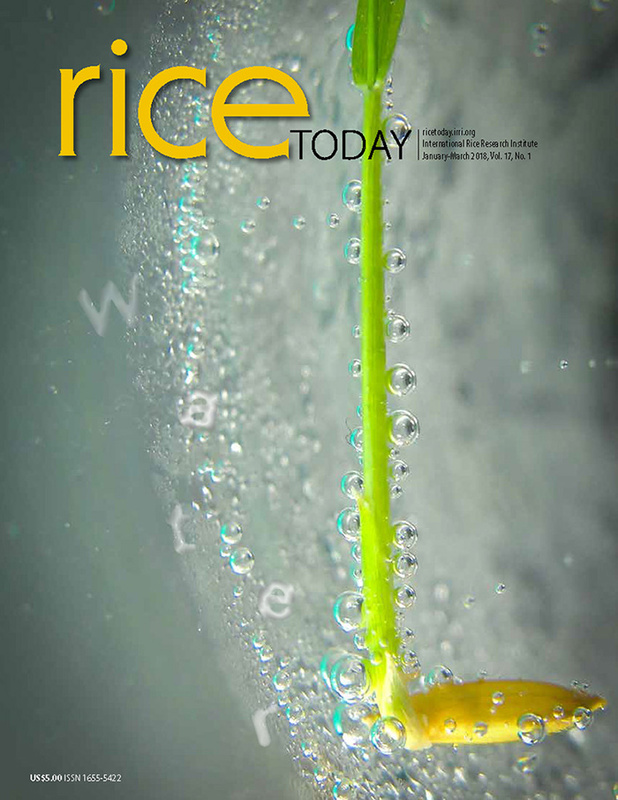 RIICE is a public-private partnership that takes advantage of ICT technologies to gather rice growth information in Cambodia, India, Indonesia, Philippines, Thailand, and Vietnam. He also presented IRRI’s use of remote sensing-based technology, smartphones, yield estimation models, and cloud computing. Also on the panel were Dilek Altin, director of Grameen-Intel’s International Business Development; Ana Herrera, senior program lead for Grameen Foundation’s Mobile Agriculture division; and Kamolrat Intaratat, chair of the Asia Pacific Telecontre Network. Panelists and attendees praised IRRI for its use of ICT innovations in rice farming. The 2015 Digital Strategies for Development Summit was in Cebu City on 22 to 24 September. The event was attended by local government unit staff, ICT practitioners, and non-profit organization representatives.